Wow. Ask and you shall receive. 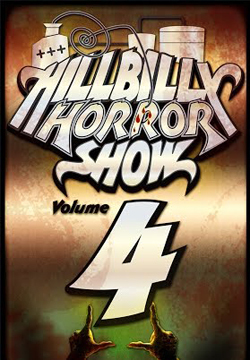 I just covered volume 3 of The Hillbilly Horror Show the other day, and now volume 4 hit the streaming market! Running almost and hour and a half, this installment makes up for the decline in the series since volume 1 by bringing us four pretty good short films—two chillers and two comedies. The downside is, the hillbilly wraparound segments are getting longer and fail to be even slightly funny. And that laugh track isn’t about to manipulate me into thinking otherwise. Anyway, lets get right to the stories. 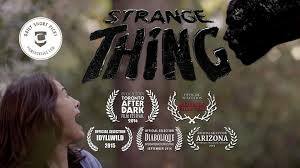 “Strange Thing” – This one has a good old-fashioned Twilight Zone vibe. A young couple suddenly notices a door behind some pictures on their wall and make the mistake of opening it. Freaky cool monster time! 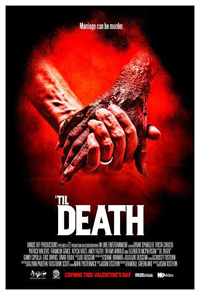 “Til Death” – The comic timing of the actors is key in this one, which is a perfect horror comedy short. Four buddies decide they can’t stand living with their nagging ladies another minute, so they kill them and bury them…on the property of a witch. As a result, the women come back. 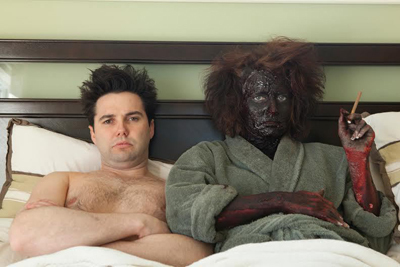 Notable about having this film in The Hillbilly Horror Show franchise is that it’s the first time there’s ever been a gay character—a closeted gay guy, which makes for more comedy under the circumstances. 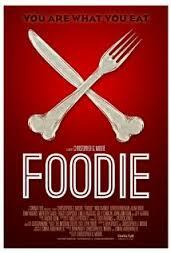 “Foodie” – Dark humor and gore is on the menu in this goodie. A foodie gets invited to a secret dinner with other foodies…only to discover he’s the main course. It might sound cliché, but there are just enough turns in the plot to give this one a fresh twist. 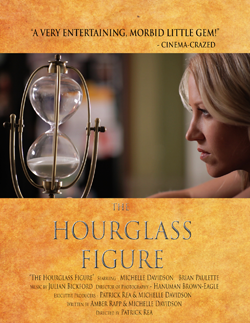 “The Hourglass Figure” – Another film with a Twilight Zone-esque vibe, this one features a housewife with too little time to get things done. Conveniently, she finds an hourglass in her attic with special instructions that basically say to turn the hourglass when you need an extra hour in your day, just don’t use it more than once a day or—. That’s right. The directions are torn, so she doesn’t know what will happen if she turns it more than once. But she finds out…. This entry was posted in Johnny You ARE Queer - Gay Thoughts, Movie Times & Television Schedules - Staying Entertained, Scared Silly - Horror Comedy, The Evil of the Thriller - Everything Horror and tagged cannibals, gay horror, horror anthologies, horror comedy, living dead, The Hillbilly Horror Show 4, undead, Zombies. Bookmark the permalink.